Description MY BIKE WAS STOLEN ON THE STREET IN SAN DIEGO. 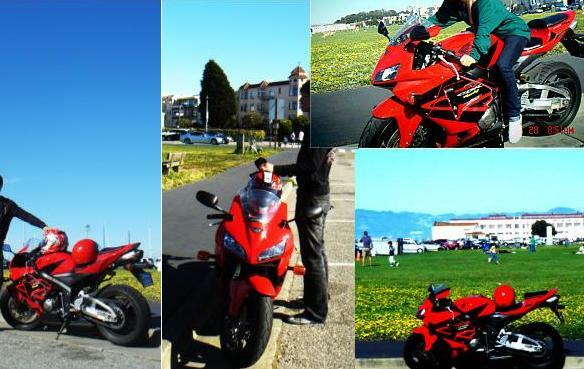 MY BIKE IS 2006 CBR rr RED/BLK. LEFT SIDE FAIRING AND MIRROR WAS SCRTCHED CAUSE OF DROPPING. ALSO CLUTCH HANDLE GOT DAMMAGED AND BENDED. IF ANYONE SEE MY BIKE ON THE STREET OR IN THE SHOP PLEASE LET ME KNOW IMMEDIATELY.